Govigyan Anusandhan Kendra in Deolapar, a small town in the Nagpur district of Maharashtra, is a cow research institute that would put some of the laboratories of the Indian Council of Agricultural Research (ICAR) to shame. Just 20 years old, it has six patents to its credit: five from the US and one from China. 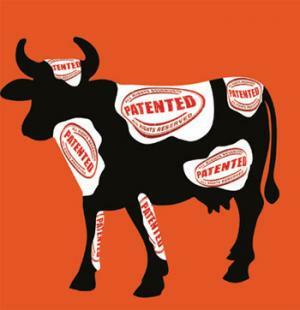 These patents relate to the use of the cow’s excretions—urine, dung and milk—for therapeutic uses. The Kendra doesn’t boast any Indian patent yet but then our rules on patentability as everyone knows are much stricter than in the developed world. Govigyan Kendra is clearly privileged. It has 25 hectares of verdant land in Ramtek tehsil where it looks after some abandoned cows and also runs a clinic offering cow remedies for sick people. It has research tie-ups with prestigious institutions of ICAR and of the Council of Scientific and Industrial Research (CSIR) in its mission to create “awareness about Indian cow and resurrect the self-sustaining Bharatiya (Indian) way of farming”. Its research is dedicated to “finding solutions from cow products for humans, agriculture, environment and ecology”, according to its website. The idea primarily is “to develop Indian cow-based way of life for farmers”. That goal may be a long way off but the Kendra has already made its mark with five patents, all for products derived from gomutra or cow’s urine. One of the patents granted in the US in 2005 is for the “use of bioactive fraction from cow urine distillate as a bio-enhancer of anti-infective, anti-cancer agents and nutrients”. The invention, it says, relates to a novel pharmaceutical composition comprising an effective amount of bio-active fraction from cow urine distillate as a bioavailability facilitator and pharmaceutically acceptable additives selected from anti-cancer compounds, antibiotics, drugs, therapeutic and nutraceutic agents. Although the Kendra would have us believe that it is a cure for cancer, what the patent description boils down to is that it can enhance the effects of modern cancer drugs. Curiously, while the Kendra claims the six patents as its own, a perusal of the patent abstracts reveals that all the patents have been assigned to csir. The key to understanding this partnership is R A Mashelkar, one of India’s top scientists who headed csir for 11 years from 1995, and was closely involved with Govigyan Kendra. That period was largely co-terminus with the first Bharatiya Janata Party (BJP)-led government and led to some shady research on gomutra by CSIR labs in collaboration with the Kendra. There was quite a bit of speculation on what India’s leading boffin was up to. That partnership is much stronger now. In April 2014, Mashelkar steered a major initiative of the Kendra for examining the scope of researching panchagavya Ayurvedic medicines for “a better system of health”. Panchagavya literally means five products of the cow: milk, curd, ghee, dung and urine. The panchagavya project is now a mammoth undertaking. It brings together all the big guns of the scientific establishment from the Department of Science and Technology, Department of Biotechnology, to the Indian Institute of Technology-Delhi, and of course, csir. Other ministries and departments of the government, along with academic institutions, research labs will all work together to scientifically validate not just the manifold uses of panchagavya but also the “uniqueness of indigenous cows”. Panchagavya incidentally is widely used by organic farmers who shun chemical pesticides and fertilisers. Helping them will be the well-funded Govigyan Kendra which in 2004 was reported to have received donations of $500,000 for its research. What makes the Kendra part of the elect? It is a unit run by the Vishwa Hindu Parishad, an arm of the Rashtriya Swayamsevak Sangh or rss which is the parent organisation of the ruling BJP. Very likely, this project will result in more patents, even from our patent controller. Long live the Indian cow.